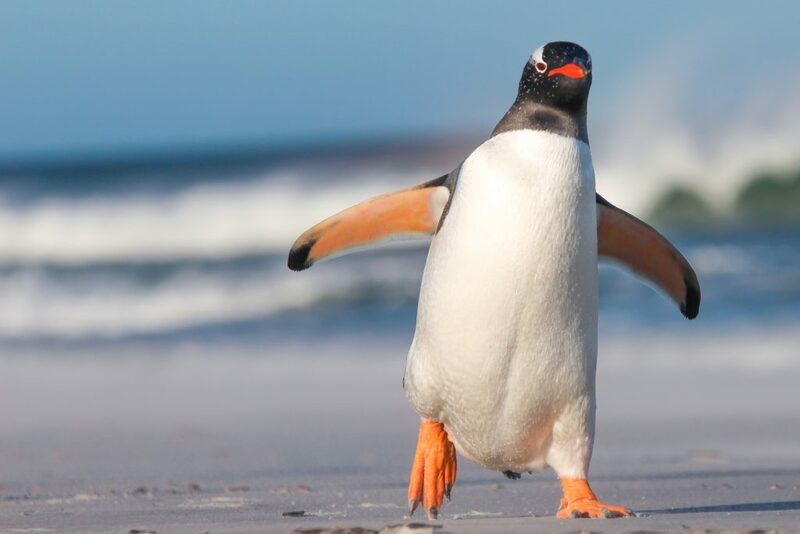 To celebrate World Penguin Day, check out these cool facts about penguins you might not know! There are 18 different species of penguins, including one called the Macaroni penguin! Penguins are the fastest swimming bird and can reach speeds up to 36 km/h (22 mph). Just like dogs, penguins release body heat by panting. During the winter, penguins huddle together to keep each other and their eggs warm. Archaeologists have found fossils of penguins that were five feet tall. That’s as tall as a person! Do you know any fun facts about penguins? Let us know in the comments below! Sometimes birds can’t see windows of buildings and they accidentally fly into them and get injured. Help keep birds safe by making decals that you can put on your windows. When birds see decals they know that they know that there is a window there that they can’t fly through. Use the fabric paint to draw pictures on the plastic lid – they can be of birds, flowers, anything you want. Let the paint dry for one day and then carefully peel the decals off the plastic lid. Stick the decals to the inside of your window, a few inches apart so the birds see them. 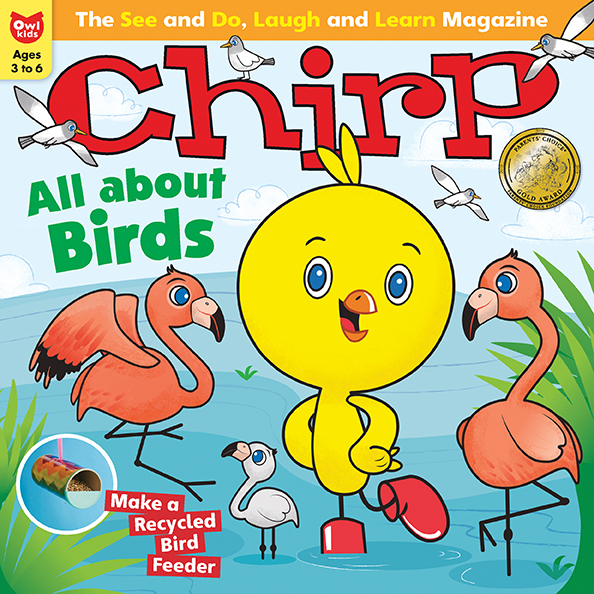 To learn more about birds, be sure to check out the May issue of Chirp magazine! Do you feel like spring is in the air? I do! And this spring, whether you are going on vacation, celebrating Easter with family, or just playing at home, LEGO and Chirp have something cute and fun to offer you. 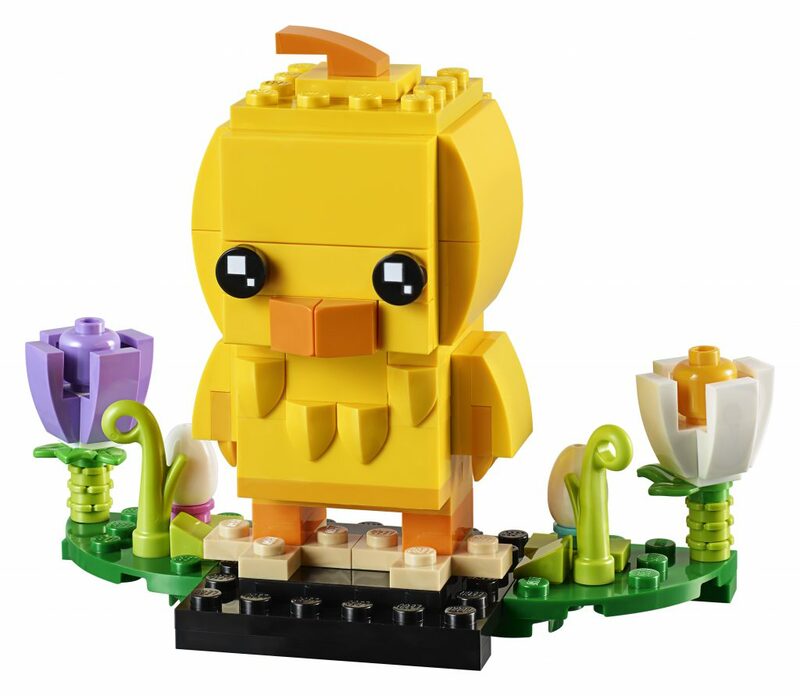 For a chance to WIN 1 of 3 LEGO Brickheads Easter Chick sets, comment on this post or send an email to the address below and let us know something you are looking forward to this spring. Remember to include your first name and age. For full contest rules and regulations click here. From adorable sloths to chimpanzees, Baby Animals With Their Families gives you a peek at not only the cutest animals, but also their families that come in many different shapes and sizes. Just like us, baby animals need their families to help them learn and grow. How would you like to WIN a copy of this book? Comment below your favourite animal or email your name and age to chirpblog@owlkids.com. 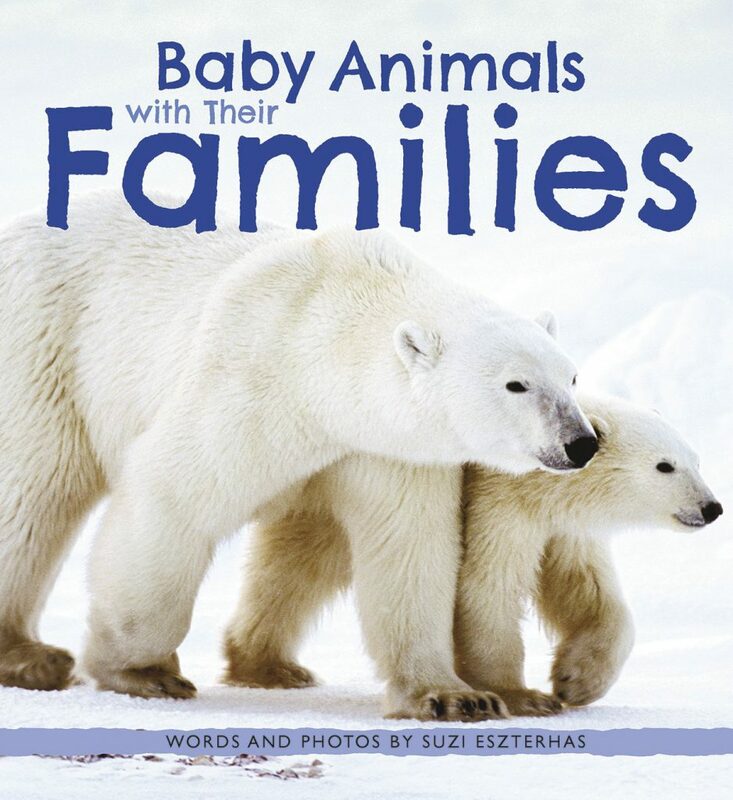 One winner will receive a copy of Baby Animals With Their Families! The winner will be chosen by random draw and announced on the blog. For full contest rules and regulations click here. Prize courtesy of Owlkids Books. Good luck in the contest, everyone!